Austrian President Alexander Van der Bellen visited the panda twins, Fu Feng and Fu Ban, at Zoo Vienna on Saturday to say goodbye as the pandas will return to Sichuan province, the hometown of giant pandas in China on Sunday. 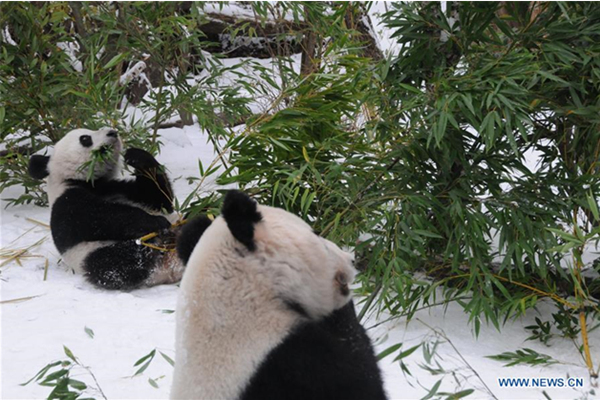 Fu Feng and Fu Ban, who were born in August 2016 in Austria, will travel by plane from Vienna via Frankfurt to Chengdu, the capital of Sichuan province. They have finished their weeks long training for their journey, according to the zoo. "The time with the twins is gone. It seems to me as if it had been yesterday that the two still cuddled with their mother Yang Yang in the box. They have given us many great moments, "said CEO of Zoo Vienna, Dagmar Schratter. 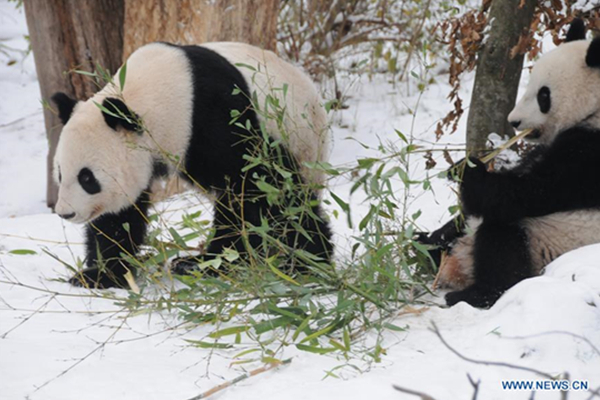 The panda twins have lived in Vienna with their mother Yang Yang for over two years. In the field, panda cubs leave their mothers at this age and seek their own territory. Yang Yang is seen as a super mother, with Long Hui, the father of the twins, she gave birth to 5 cubs. Their rearing was a sensation -- for the first time a panda mother in captivity raised twins without human help. But Long Hui died of cancer in December 2016. Yang Yang's Fu Long, Fu Hu and Fu Bao -- the three male cubs, were all back to their hometown in China after two years old. A zookeeper will accompany the twins to China and help them settle in their new home. According to the contract with China, the panda cubs should be returned to China after two years old.